Juan Manuel Mata García is a Spanish footballer who currently plays for English club Chelsea in the Premier League. He primarily plays as an attacking midfielder and a winger. Mata began his football career in Spain, playing for Real Oviedo. In 1997, he joined Real Madrid. Mata spent three years in the club's academy progressing through their junior teams and, at the age of 18, made the switch to Real Madrid Castilla for the 2006–07 season, where he finished the season as the side's second best scorer with 10 goals. At the start of the 2007–08 season, Mata signed for fellow La Liga side Valencia CF and he was voted the team's Best young player, by the end of that season. 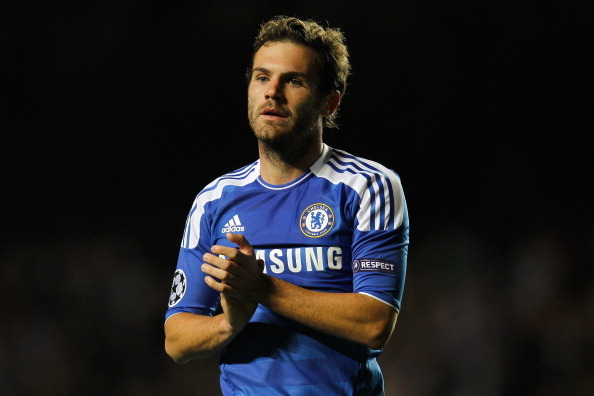 In the 2011–12 season, Mata moved to England, signing for Premier League club Chelsea in August 2011, for a fee in the region of £23.5 million. On 27 August 2011, Mata made his debut and scored a goal for Chelsea against Norwich City, where he came on as a substitute. Mata won the UEFA Champions League and the FA Cup in his debut season at Chelsea. He also won the club's Player of the Year award. Mata is a Spanish international, having represented Spain at under-16, under-17, under-19, Under-20, under-21 and senior levels. He played for the under-20 side in the 2007 FIFA U-20 World Cup. In June 2009, Mata was included for the 2009 FIFA Confederations Cup, his first senior tournament. On 9 September 2009, Mata scored his first goal for the senior team, against Estonia secured a place in the World Cup in South Africa and was part of Spain's 2010 FIFA World Cup winning squad. In 2011, he went back to playing the under-21 side, captaining and helping Spain win the 2011 UEFA European Under-21 Football Championship in Denmark. He won the Golden player award and was part of the Team of the Tournament.